Currently occupied by the 2008’s The Gem of Life <珠光寶氣>, the next TVB drama to take over the midnight time slot will be a big one—1989’s television classic, Looking Back in Anger <義不容情>. Starring Felix Wong (黃日華), Deric Wan (溫兆倫), Carina Lau (劉嘉玲), and Kathy Chow (周海媚), Looking Back in Anger premiered in Hong Kong in April 1989 to overwhelming success, breaking numerous ratings records and reaching a peak rating of 68 points—a feat still not broken today. 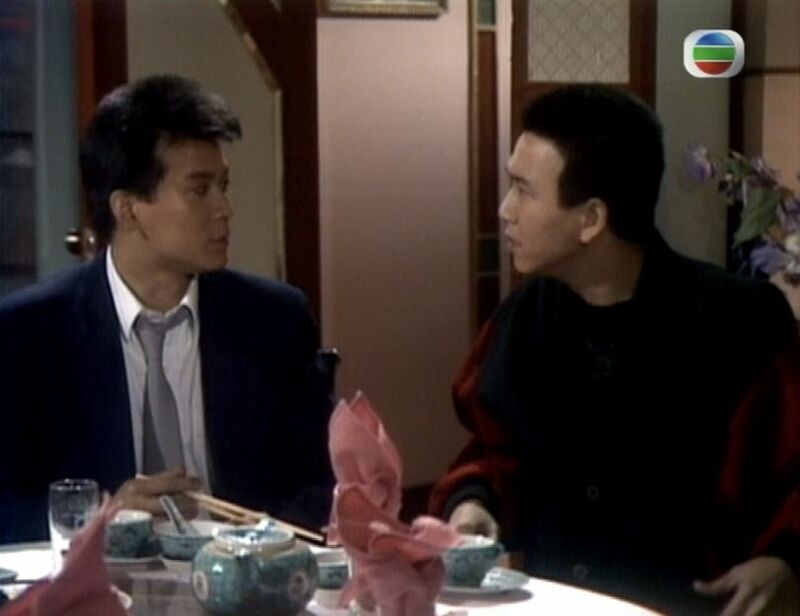 The classic TV series about two tragic brothers had several reruns in the last 30 years, but its last rebroadcast in Hong Kong was in 1998, 20 years ago. Set in the 1980’s, the story of Looking Back in Anger revolves around two brothers—older brother Alex (portrayed by Felix Wong) and younger brother Ben (portrayed by Deric Wan), who was born in prison. Over the years, Alex watches his brother slowly succumb to greed and power, killing and manipulating his way to the top. Though the overarching story of Looking Back in Anger resembles 1986’s The Feud of Two Brothers <流氓大亨>, the two dramas approached the story in different ways. No further spoilers will be given here, but there are several key highlights of Looking Back in Anger that is worth noting. First, Looking Back in Anger was the drama that pushed Felix back to relevance—the actor was once considered Greater China’s most popular actor after 1983’s Legend of the Condor Heroes <射鵰英雄傳>, but when Felix considered not renewing his TVB contract, TVB decided to put its resources on other actors. It was after the broadcast of Looking Back in Anger when Felix became the television industry’s most popular star once again. Second, the drama was credited for single-handedly bringing Deric Wan to unprecedented fame. Though the then-rookie actor was already rising in popularity, it was his villainous role as Ben Ting in Looking Back in Anger that made Deric Wan into a household name. His convincing performance as the show’s main villain made him Hong Kong’s favorite bad boy and overnight superstar. Another highlight is former actress Yammie Lam (藍潔瑛)—though she had only a small guest role that lasted three scenes, she left lasting impressions on viewers. Her performances can be seen in the first few episodes. Fourth, the show’s popularity had successfully crossed over to the music industry—opening theme is the chart-topping hit and karaoke gem “Meaning of Life” <一生何求> performed by the late Danny Chan (陳百祥). The song also became the title single for Danny Chan’s best-selling album of the same name, released in 1989. The song has been covered by many artists. The drama’s tie-in singles included the Cantopop hit “A Little Bit Sad, A Little Bit Crazy” <幾分傷心幾分痴> and the Mandopop song “The Role of the Story” <故事的角色>, both performed by Dave Wang (王傑). The final highlight is the show’s successful viewership ratings—an average of 47 points and a peak of 68 points, a score still undefeated. Nearly half of Hong Kong’s entire population had watched the show live, including millions more from Malaysia and Singapore. It is no surprise to see Looking Back in Anger being chosen by Singaporean media as one of the top 100 most classic Chinese-language shows of all time. A re-run from the 80’s is entertainment news…. @anon This is big news in HK. Unfortunately the rerun of “Looking Back in Anger” is generating much more excitement than viewership over TVB’s current dramas. It’s just sad when a 30-year old re-run generates more buzz than their current offerings…. @anon Yes agree. I remember the rebroadcast of “Blood of Good and Evil” earlier this year generated a lot of buzz in HK media too. So TVB decided to bring back its classics. Some of its older dramas have been uploaded to its official TVB YouTube channel to generate extra income for the station. How long can TVB rely on its past glory? They really should think about long-term relevance and invest more in producing new classics. it could be a matter of time before they start running past atv productions too. Looks may be a bit dated but the story and acting will probably be just as fresh, Amazing series, best modern day drama series EVER. And be prepared to cry your hearts out in just the first few episodes and then cry again and again and again. Even the themesong is so depressing. and it is this series that made me hate the newcomer Chow Hoi Mei UNTIL TODAY. Hated her. Ok, buy lots of tissues. And then rerun JTTW because thats the best costume dramedy EVER. TVB at its finest best. Actually Korea remade some dramas from Hong Kong, but they just didn’t state it was remade. So I won’t be surprised if next time the more popular dramas in Hong Kong gets remade by Korea. Like the Raymond Wong’s time traveling drama has been remade by Korea and its name is the Best Hit/Hit the Top. They just changed some details, but the storyline is the same. For a moment I thought they are remaking it (Nooooooooo!). Although I don’t understand why a rerun is worth mentioning, Looking Back in Anger is indeed a classic among classic for modern series (another being Greed of Man). Excellent themesongs, superb acting from the cast (kudo to Felix and Deric especially), a storyline that guarantees anger. To date, Deric Wan’s portrayal of Yau Hong is my most hated villain in TVB drama. Now for another opportunity for me to mention one of the most talented actors TVB have ever had Deric Wan. For those who haven’t seen this classic, watch it for him! Also at the time a the much improved Carina in her best performance. Also a chance also to see the late Elliot Ngok Wah in an earlier role…. @jimmyszeto Not just Elliot Ngok…the other 3 main veterans in the series – So Hang Suen, Kwan Hoi San, and Kong Ngai – also all passed away already….this series itself is already sad, but re-watching it will be even sadder considering all the veterans we lost (not to mention hearing the theme song will once again remind me that we lost Danny Chan way too early as well). I think I will need more than 1 box of tissues when I re-watch this…. @jimmyszeto Yes to Deric Wan! I’ve been watching his old dramas again. What a gem! This is one of my favorite classic dramas growing up. Love the storyline and acting by Felix and Deric. Two of my favorite actors of all time. Can’t wait to watch it again. 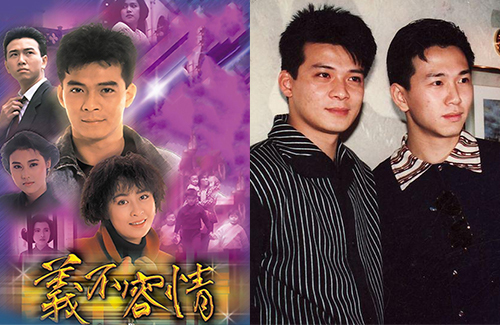 Too bad TVB can’t make dramas like these classics anymore. @llwy12 I hope not! TVB was really good at inserting music when needed. @tiffany That was the old TVB, back before their fallout with certain record companies. Hey, if TVB can ruin a classic such as Blood of Good and Evil (the one scene where they changed out the music when they re-broadcast the series in the midnight time slot was so WTF ridiculous, pretty much made me hate TVB for the rest of eternity), I’m sure they have no qualms about ruining other classic series too if the music / songs fall under the same category. With TVB nowadays, there is nothing “too low” for them…. At least TVB have finally rid their stubbornness to refuse to re-broadcast their best ever drama ‘Looking Back In Anger’. It should have been done much earlier on when ‘At the Threshold of an Era’ and ‘Greed of Man’ were garnering massive praise in the midnight slot bringing increased fame to actors within those series. The upper hierarchy at TVB could not bare to promote the blacklisted leads Felix Wong and Spencer Leung and the not their favourite Deric Wan so cancelled the rebroadcast. Now they finally realise that there isn’t any point sacrificing their own rating just to hold a grudge or they have just became plain ‘desperate’ after how low TVB have become recently. More likely the latter but at least the younger generation will get to see a real decent drama now. The same youngsters that are calling Felix ‘Stone Sir’. They need to know that he his ‘Guo Jing’ and ‘Ding Yao Kin’ (not Stone Sir)…. @jimmyszeto Well, the current drama airing in the midnight time slot (The Gem of Life) hasn’t finished its run yet — there’s more than a week left before the series ends, so TVB still has time to change their minds. Don’t forget they already changed their minds once about airing LBIA in that spot (back in 2015) and that was a last minute switcheroo to boot. And throughout the last 3 years or so (when midnight timeslot started becoming a “hit” timeslot), TVB has a track record of changing their minds quite a few times (a particular series would be announced as airing in that timeslot, then when the time comes, they switch to a different series). So basically, until the first episode of LBIA starts airing, this will be a “I’ll believe it when I see it” type of situation…. If the ‘Greed of Man’ brought huge attention to the life of past actor David Siu and At the Threshold of an Era gave Sunny Chan and Gallen more exposure then you can imagine what ‘Looking Back in Anger’ will do. The station is definitely desperate to stay relevant because it is a tough pill to swallow to air a series containing a number of male leads who they consider to be enemies of the station. Looks like Ng Kai Ming is doing well opening chain of restaurants in China and now Hong Kong. I guess Lawrence can easily find him. He is probably right to be reluctant to come out into the spotlight. Seems very camera shy now. He looks light years away from the villain characters he used to play and the stock and shares investor he became after he left the entertainment industry. It shows that everyone eventually finds a way to settle down. Very similar story to David Siu tbh…. @jimmyszeto Yup, very true. The important thing is that he is successful now and is happy being away from the spotlight. Yes, similar story to David Siu, though I highly doubt Ng Kai Ming will want to return to the industry like David did…. David Siu looks like he still has a lot of fire in his belly and is looking to make one big run his acting career. He has been very vocal and opinionated on different celebrities and their acting abilities and not worried about upsetting famous celebrities. Most of his criticism has been aimed at Sean Lau because previously Sean tried to steal his girlfriend. Ng Kai Ming is showing the complete opposite ambition in regards to the entertainment industry. He has become shy and in every photo and video he like he hasn’t had a good nights sleep in a while. He seems to want to keep his feet on the ground and work hard. @jimmyszeto David Siu has always had a fiery temper and was outspoken even back in the 80s/90s so I’m not surprised that he would continue to be vocal upon his return to the industry. I was also fond of David (as an actor) back in the day, as he truly did have acting chops, was convincing in every role he played, whether good guy or villain, and always came across as a natural when it came to acting. I was actually quite disappointed when he decided to leave the industry back in the 90s, but given that he had been burning bridges left and right with all the disputes he had with various artists, it probably was a good time for him to step away and regroup. Yea, I remember his dispute with Sean over Eugenia Lau, but honestly, all 3 are happily married now with their own families and whatnot, so it’s about time he gave that issue a rest, lol. @jimmyszeto Speaking of Looking Back in Anger and The Greed Of Man…I just heard the news that Yammie Nam died…reading the news bits trickling out right now, definitely sad…I assume @jayne will be doing an obituary piece at some point. Omg Looking Back in Anger is even more nostalgic than ever with the passing of Yammie Lam!